The first investor I’ll talk about is an American working in a very senior position at a British investment bank. He is 54 years old, has been living in Tokyo for eight years, and is married to a Japanese national and has two kids. 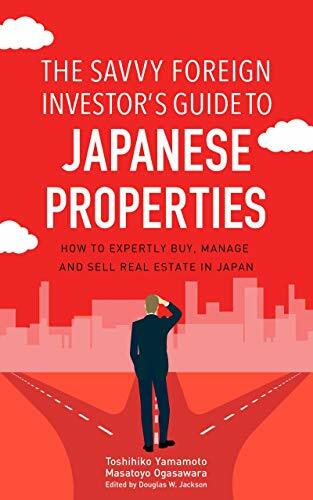 He had purchased properties in the UK and U.S. before coming to Japan, so he knew how real property investment works. His CPA introduced him to my friend, a Japanese real estate agent. This gentleman earns about 50 million yen (US$500,000) as a base salary plus some bonuses and stock options, and his income runs as high as 100 million yen (US$1 million). Consequently, he has to pay a lot of tax. He went into this investment mainly to save on taxes, and also wants some outside cash flow. As a senior executive in a huge firm, he also knows he’s at risk of being let go, so he wants income-bearing investments in hand just in case that occurs. He’s bought three buildings in Japan so far. The first building, in Chiba, was 200 million yen (US$2 million)—five stories, 29 units, studio apartments only, and two minutes from Higashi-Chiba Station. It’s been a good investment. The gross yield is between 8.5 and 9 percent. (Gross yield refers to everything before expenses. It is calculated as a percentage based on the property’s cost or market value divided by the income generated by the property.) His borrowing cost was 4 percent, so the spread is about 4 to 5 percent. That created good cash flow, and allowed him to take a lot of tax deductions because those buildings can be depreciated for tax accounting, as well as for repairs, incurred costs and things like that.